Over the past month, a number of well-known global brands have filed U.S. lawsuits against foreign (predominately Chinese) online businesses for the sale of counterfeit products to U.S. consumers. Beats Electronics, LLC (dba Beats By Dre; “Beats”), the audio product manufacturer and online music provider, filed a lawsuit in the U.S. Federal District Court of Northern Illinois (Case No. 14-cv-5209) on July 9th against several foreign counterfeiters alleged to have sold counterfeit Beats products to U.S. consumers. Their complaint claimed that such acts constituted federal trade mark infringement, and violations of federal and state unfair competition laws. Similarly, Lululemon Athletica Canada, Inc. (“Lululemon”), the popular Canadian producer of yoga clothing and other sportwear, filed an almost identical lawsuit on July 17th in the same U.S. District Court (Case No. 14-cv-5478) against similar foreign online counterfeiters who allegedly sold knock off-versions of their apparel to U.S. consumers. In both of their complaints, Beats and Lululemon claimed that foreign-based counterfeiters are increasingly damaging their U.S. market sales through direct sales to U.S. consumers that bypass traditional counterfeit import safeguards. Particularly, they claim that the named counterfeiters established deceptively similar websites to Beats and Lululemon’s own sale sites, and that they utilized search engine optimization tactics to increase their website rank on sites such as Google in order to directly market their counterfeit goods to U.S. consumers. Such counterfeiters are also claimed to be increasingly able to evade detection by U.S. Customs and Border Protection when exporting their goods to the U.S. by utilizing third-party payment systems such as PayPal and Western Union, and using small quantity direct mail to ship their products to U.S. purchasers. Although these cases were only filed days ago and show how foreign counterfeiters have recently been adjusting their tactics to sell their counterfeit goods to U.S. consumers, they are by no means new and have become common means for global brands to seek U.S. enforcement against foreign counterfeiters. 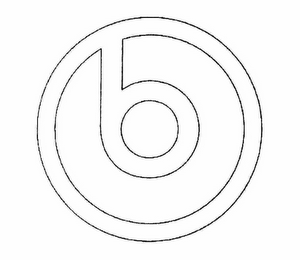 Beats sued several similar foreign counterfeiters last September (Case No. 13-cv-6724) based on the same claims in their current suit and prevailed in a default judgment, resulting in the seizure of nearly 1,500 domain names, 50 PayPal accounts, and statutory damages totaling $2 million per infringement. Lululemon prevailed in a similar lawsuit brought in the U.S. Federal District Court in Southern New York in June last year (Case No. 13-cv-4385-KPF) against a group of foreign counterfeiters who had established confusingly similar fake websites to sell counterfeit Lululemon products. Like Beats, Lululemon was victorious in a default judgment, resulting in $23.3 million in damages and injunctive relief including transferring counterfeit domains to Lululemon and restraining the named foreign counterfeiters from utilizing third-party U.S. payment and service providers who facilitated their U.S. counterfeit sales. Additionally, other well-known global brands such are Hermes and The North Face have sought and succeeded in similar actions in the U.S.
At face value, these U.S. based trade mark cases against foreign counterfeiters appear to be effective in providing compensation to damaged brands and helping to dismantle the U.S. instrumentality such counterfeiters use to sell their fake goods in the U.S. Yet a further examination shows that the redress obtained from these cases is incomplete and even ineffective at deterring repeat infringements by such counterfeiters. First, commentators have validly questioned the ability of a global brand to obtain actual monetary recovery from these foreign counterfeiters once they receive a U.S. judgment in their favor. China, home to an estimated 80-90% of the world’s counterfeiters and many of the counterfeiters identified in Beats and Lululemon’s lawsuits, will not honor a U.S. judicial judgment in their Courts. This makes it unlikely that any global brand could effectively enforce their U.S. judgment against a Chinese counterfeiter’s assets in China. Further, as such foreign counterfeiters are reported to be notoriously careful to ensure that their third-party U.S. payments accounts have low balances, it is unlikely that the large damages awarded from these recent U.S. cases will be recovered in the U.S. The lack of enforceability of these U.S. judgments also makes them less likely to dissuade repeat infringement. Without the ability to enforce such judgments from a monetary standpoint, they provide no effective legal deterrent to repeat action, meaning that there is nothing to stop foreign counterfeiters from reestablishing their online markets through different domain names and locations once they are shut down. These deficiencies coupled with the sheer number of similar U.S. lawsuits increasingly make such cross-border enforcement actions, by themselves, an expensive and time-consuming Whack-a-Mole exercise (a futile repetitive act for those who did not have the pleasure to play Whac-a-Mole as a child). Although these recent cases highlight the ineffectiveness of combating foreign counterfeiters by U.S. trade mark litigation alone, complementing such efforts with enforcement actions in the countries where the counterfeiters reside may be a more effective solution. For example, both Beats and Lululemon have many of the same trade marks registered in China that they claim rights to in their U.S. lawsuits. This gives both brands legal rights under Article 52(3) of the Trade Mark Law of the People’s Republic of China (CN 026) against parties who create counterfeit versions of their products utilizing their registered Chinese marks. 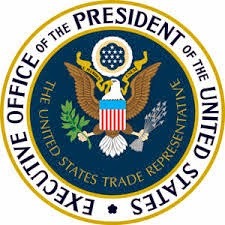 The enforcement of such trade mark rights in China has numerous challenges and costs, but it is arguably improving as the U.S. Trade Representatives Office reported this year on better access to redress in Chinese civil courts as well as improved cooperation between Chinese and U.S. law enforcement on deterring the cross-border flow of counterfeit products. As online marketplaces are now the main sales point for imported counterfeit goods, it is likely that global brands will increasingly need to focus their enforcement efforts both in the originating and the export sale markets in order to enforce their trade mark rights effectively. Only conducting both types of enforcement actions can better guarantee that global brands can effectively prevent the cross-border trade of counterfeit versions of their products. A scoop ... of yoghurt! Eponia: a State of mind? Precedent III - is it res judicata? Does anyone fancy some McFashion? What is precedent and does the EPO have it? Have U.S. courts made patents less valuable?